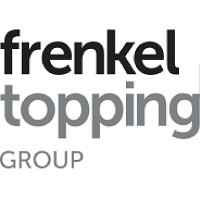 Frenkel Topping Group (LON: FENN), the specialist independent financial advisor and asset manager focused on asset protection for vulnerable clients, has today confirmed that its full year results to 31 December 2018 are in line with market expectations. Frenkel Topping Group has performed well with assets added in 2018 having increased by 43% over those added in 2017 and, as a result, assets under management (AUM) at 31 December 2018 increased to £778m. This represents a pleasing increase on the prior year, despite continued political uncertainty and volatile equity markets. Frenkel Topping’s Expert Witness area is a key driver to building a pipeline for future AUM growth. 2018 Expert Witness Instructions increased by 30% over 2017, which has resulted in a solid start to the Company’s 2019 financial year. The Company’s 2018 AUM growth reflects the significant investments made in its HR, marketing and IT systems in 2018, including the Frenkel Topping Academy. The Academy is committed to the training and development of specialist consultants, with the requisite skills to understand and manage the complex financial affairs of vulnerable clients. The graduation of the first tranche of consultants in 2019 will be an important milestone for Frenkel Topping in building its talent pool and future prospects. Financial expectations noted above are subject to the completion of year-end financial close and audit processes. A comprehensive update and review with be provided with the Company’s annual results, which are expected to be announced on 10 April 2019. Click FENN for the full archive.